Thirteen beautifully wrought tales of crime, passion, and people on the brink of disaster Marybeth met Jamie at the Horn & Whistle, a neighborhood pub warm enough to keep out the chill on a bleak January day. Over a pint of stout, he won her heart with bad jokes and cynical Irish charm. Two years later, she loves him more than ever, but she can see that he's bracing for a fall. When everything collapses, when Jamie's job disappears and the house is foreclosed on and Marybeth feels death creeping into her bones, it's up to her to save them both-even if it means doing something that will tear them apart forever. "Stray," along with the twelve additional short stories in this exquisite collection, showcases author David Corbett's unparalleled ability to build a life in just a few pages, and then shatter it in a single sentence. From the first confession to the thirteenth, these stories cut deep-and show no mercy. Praise for David Corbett "At a time when most men of letters think they owe it to themselves to be easily bruised, Corbett knows he owes it to his readers to be engaging, full of knowledge, and unafraid." -Len Wanner, author of The Crime of It All "David Corbett is the finest crime writer alive. He's also better than most of the dead ones. Read him. Now." -Cornelia Read, bestselling author of Valley of Ashes Before becoming a novelist, David Corbett (b. 1953) spent fifteen years as an investigator for the San Francisco private detective agency Palladino & Sutherland, working on several high-profile cases. In 1995, he left to help his wife set up her own law firm, and in 2000 he sold his first novel, The Devil's Redhead, a thriller about a reformed pot smuggler trying to save his ex-girlfriend from the deadly consequences of her own misguided sympathy. Corbett's second novel, Done for a Dime (2003), begins with the murder of a blues legend and turns into a battle for the soul of a small town. It was a New York Times Notable Book and was nominated for a Macavity Award from Mystery Readers International. Next came Blood of Paradise (2007), which was nominated for the Edgar and numerous other awards. It was named both a San Francisco Chronicle Notable Book and one of the Top Ten Mysteries and Thrillers of 2007 by the Washington Post. Corbett's fourth novel, the critically acclaimed Do They Know I'm Running? (2010), tells of a young Salvadoran-American's harrowing journey to El Salvador to retrieve his deported uncle. It received the Spinetingler Award, Best Novel: Rising Star Category. He has also contributed chapters to the two Harry Middleton serial novels. Corbett's most recent book, a collection of short stories titled Thirteen Confessions (2016), is offered exclusively through Mysterious Press and Open Road Media. Before becoming a novelist, David Corbett (b. 1953) spent fifteen years as an investigator for the San Francisco private detective agency Palladino & Sutherland, working on several high-profile cases. In 1995, he left to help his wife set up her own law firm, and in 2000 he sold his first novel, The Devil's Redhead, a thriller about a reformed pot smuggler trying to save his ex-girlfriend from the deadly consequences of her own misguided sympathy. Corbett's second novel, Done for a Dime (2003), begins with the murder of a blues legend and turns into a battle for the soul of a small town. It was a New York Times Notable Book and was nominated for a Macavity Award from Mystery Readers International. Next came Blood of Paradise (2007), which was nominated for the Edgar and numerous other awards. It was named both a San Francisco Chronicle Notable Book and one of the Top Ten Mysteries and Thrillers of 2007 by the Washington Post. Corbett's fourth novel, the critically acclaimed Do They Know I'm Running? (2010), tells of a young Salvadoran-American's harrowing journey to El Salvador to retrieve his deported uncle. It received the Spinetingler Award, Best Novel: Rising Star Category. Corbett's fifth and most recent novel, The Mercy of the Night, appeared in 2015, along with a companion novella, The Devil Prayed and Darkness Fell. He has also contributed chapters to the two Harry Middleton serial novels. 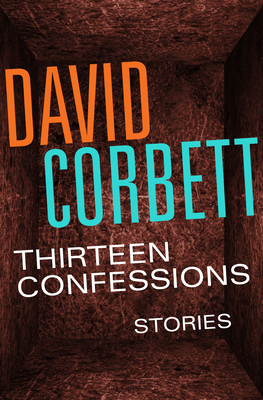 Corbett's most recent book, a collection of short stories titled Thirteen Confessions (2016), is offered exclusively through Mysterious Press and Open Road Media.